We all know we shouldn’t skip breakfast because it’s the most important meal of the day, right? 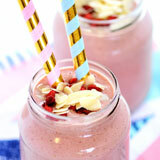 But how many of us actually eat a healthy breakfast every morning? I’m afraid that grabbing a coffee and donut as you head out the door doesn’t really count. Yes, I know it can be hard. Good intentions easily fly out the window simply by a lack of time or not being hungry first thing in the morning. Solution? Make breakfast quick, easy and delicious. 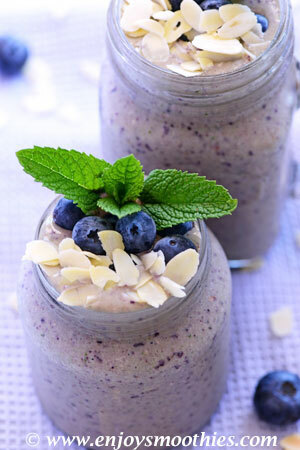 These healthy breakfast smoothies will not only tempt your tastebuds, but they’re super easy to blend and enjoy on the go. Not only that, they are such an easy way of getting our recommended daily amount of fruits, vegetables, vitamins and minerals. 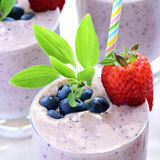 A smoothie that’s going to keep you energised throughout the morning needs to be a meal replacement. 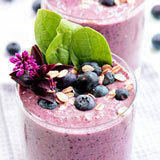 Such a smoothie needs to be full of antioxidants, minerals, vitamins and protein. Start with spinach or any other type of green. It’s easy to mask the flavour with some fruit. We promise you will barely taste the green. 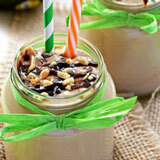 Greek yogurt, peanut butter or nut butters provide the protein, oats the fiber, while almond milk is low in calories. 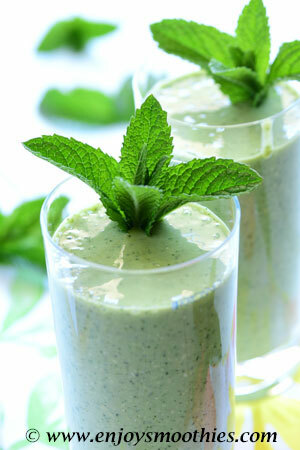 Add the frozen bananas, spinach leaves, yogurt, almond milk, oats and mint to a blender. Turn on to high and blend until all ingredients are smooth and creamy. 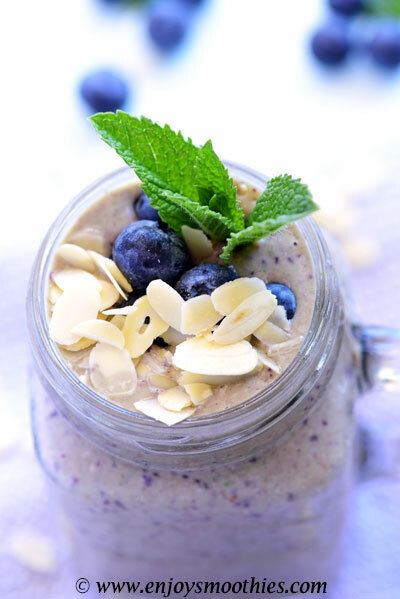 Blend together the frozen banana, blueberries, baby kale, vanilla yogurt, rolled oats, almond milk and ground cinnamon until thick and creamy. Pour into breakfast serving glasses and enjoy. 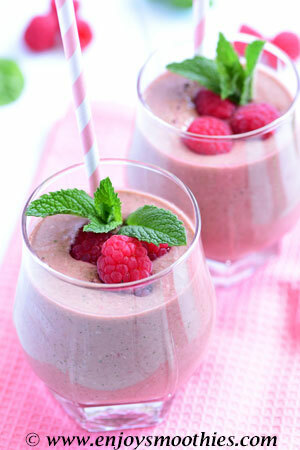 Combine the pear, frozen raspberries, oats, baby spinach, vanilla yogurt, pomegranate juice and almond milk. Blend on high until velvety smooth. 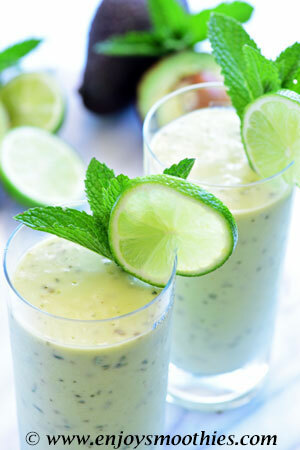 In a blender place the avocado, frozen banana, pineapple, coconut milk, rolled oats, mint leaves, grated ginger and lime juice. Blend until the desired consistency and serve.